This whole week feels like a time of reconfiguration to me. If life feels challenging and you encounter obstacles, holding a big picture view can be helpful so that you don’t become mired in frustration or discouragement. The planetary action will show you where your life needs adjustment, so use any issues that arise as a signal to get your attention. What needs correction? I’s your job to give attention to the areas in your life that are calling for it. We have a New Moon in the fertile, grounded sign of Taurus on Sunday night/early Monday morning. 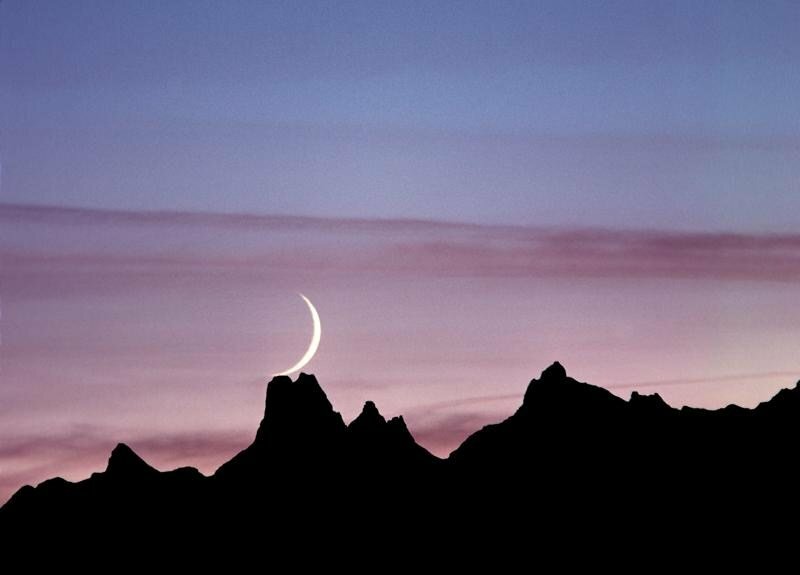 A New Moon signifies the time to initiate anything you want to create or activate in your life. However, with a Mars-Saturn opposition and Mercury Retrograde, this is not the best time to activate new things, unless you do it on Friday or Saturday. Even then, you may feel like you’re trying to push a boulder up a hill. If you choose to go forward with something new, pay close attention to details and be very flexible so as not to go into reaction if/when plans go awry. Taurus rules the Earth, your body, the physical world and your values – what you value and how you value yourself. Check in to see if you’re treating yourself as the valuable, precious being that you are. Do you honor yourself – and does the way you operate indicate that? I hope so. Taurus rules money and financial security, and this is a good time to review financial issues and your consciousness regarding money, prosperity and abundance. If you are overspending, trying to fill a void by acquiring more, living with a belief in lack, or fear regarding money, this is the time to take action to rectify your false/negative beliefs that manifest as money issues. In the spirit of Taurus, take practical actions to build a real, solid foundation for you to move forward from. Here we go again – on Monday night, Mercury Retrograde will officially be active through June 11th. If you haven’t gotten my free report (click on link above), please do so you can prepare for the coming three weeks.This is aligned with all the “Re” activities – regroup, revision, rework, redo, reorganize, etc. It is a fabulous time to clear clutter and downsize. Ask yourself, “What is really useful and necessary?” There are so many clever ways to save and store keepsakes – explore beautiful storage systems to open up space and free your attention.This is also prime time for finding lost items, reconnecting with old friends /loved ones or those you need to make amends to. Use this time well. It can be a gift unless you feel the need to charge through life at an overachieving pace, trying to push the energy forward. Easy does it. Life works much better when you align with the flow – and we’re in slo mo for the next four weeks. We have Moon Void of Course periods this week, which affects business and planning, so be aware when taking actions for maximum effectiveness.